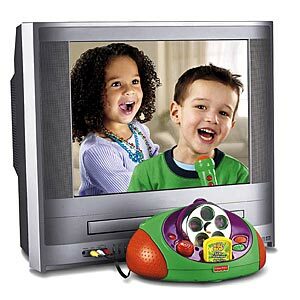 Play and create your own Karaoke songs for kids and other music software and accessories for infants. Fun Young Kid Music Zone. 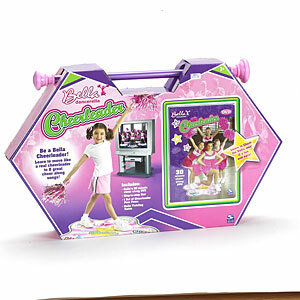 Top Music for Kids product selection. 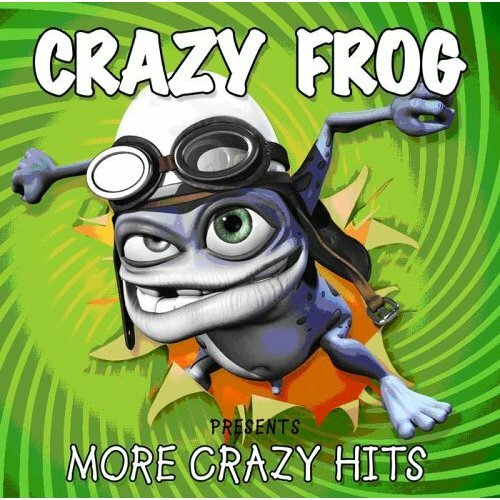 The Same Trend was Repeated all Across the World, Making the Crazy Frog Very Much an International House Hold Name! the Frog Returns with a Collection of Hits Including his Fabulous Rendition of "we Are the Champions." 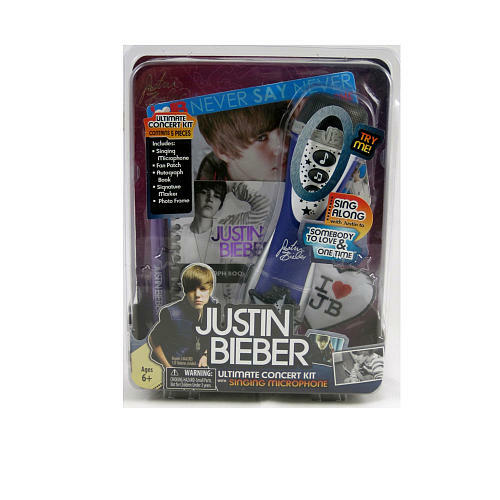 Microphone that plays 30-second clips of "One Time" and "Somebody to Love". 2 concert sound effects. An autographed book and marker. Justin Bieber photo frame. Signature embroidered patch. Learn Ballet the Bella way to seven new and beautiful songs! Dance along like a graceful swan to the magical music of Swan Lake! 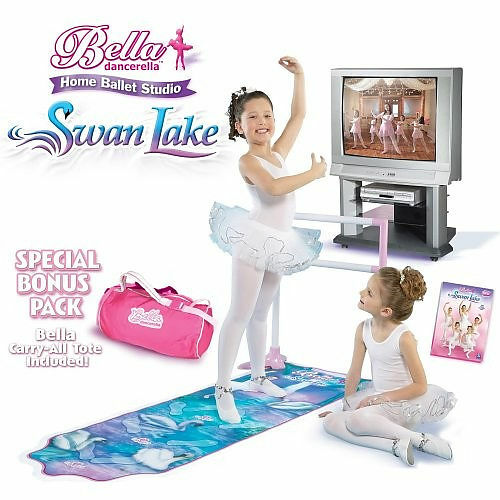 Join Bella on an enchanting Swan Lake journey! 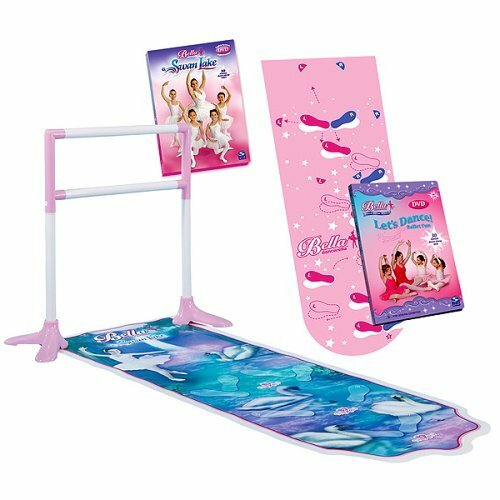 Like a beautiful swan in a magical pond, come with Bella Dancerella. 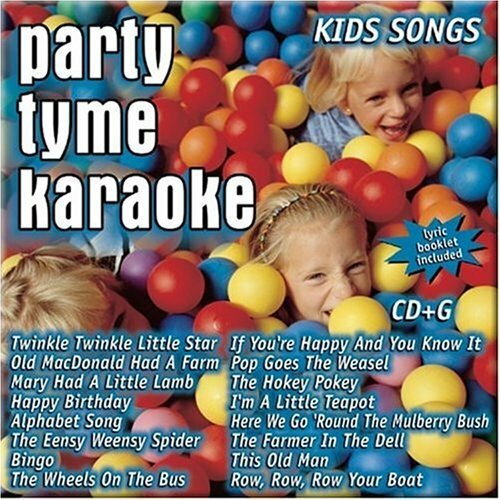 The music is played in a familiar format and easy for kids to sing along with even adults can have fun with it! Age: 5 years and up. 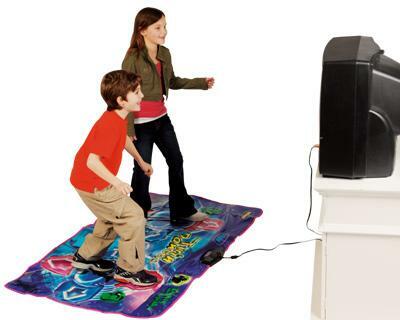 Dance Dance Revolution Twin TV dance for 2 players no system or console require just plug and play! 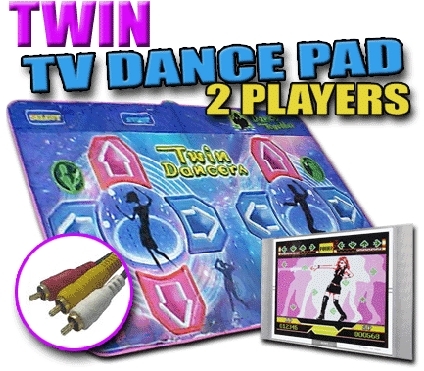 The brand new 2 players TV Twin Dance Pad is now here. Now you can Challenge you friends or you family member with this pad. 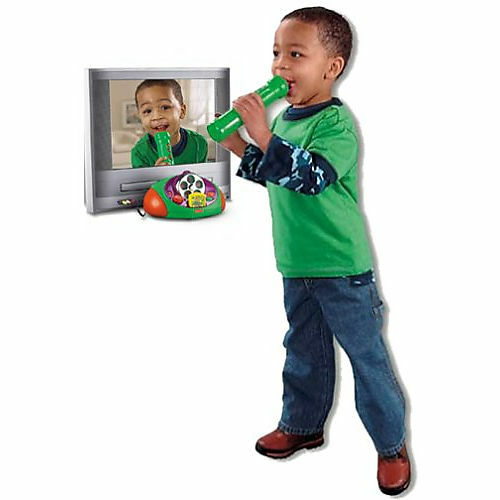 The Star Performer lets kids turn any television into an instant hit show by putting the power of performance right into their hands. Using Plug and Play technology the hardware unit plugs right into the TV. By Fisher Price. B-E-L-L-A! 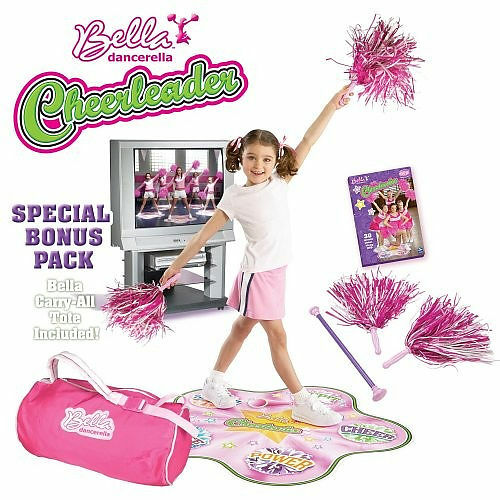 Learn to cheer the Bella way! Bella knows you have the spirit. She'll teach you to dance and move like a real cheerleader. For ages 4 and up. 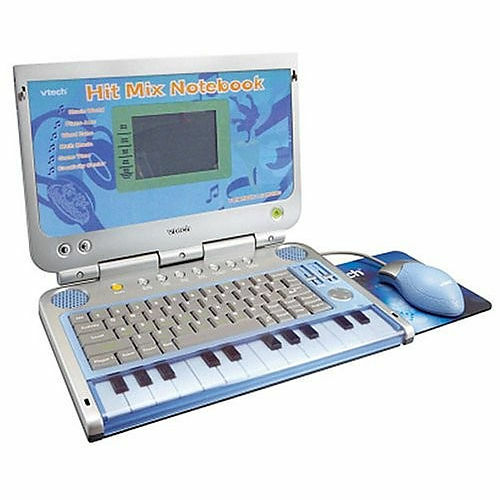 Nitro Notebook by Vtech is a groovy laptop with built-in piano style keyboard. There are fun, learning activities and lessons including music, math and English, teaching basic skills and rhythm. 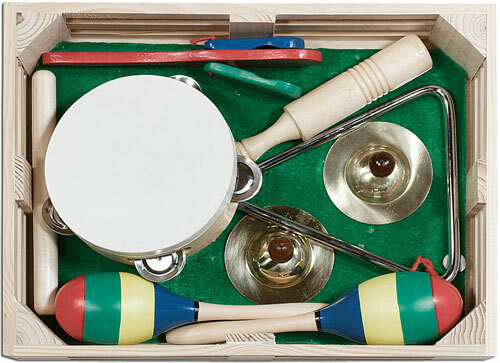 Strike up the band with this 10-piece music set from Melissa & Doug. Kids from 3 to 103 will enjoy exploring their musical talents with these six favorite instruments.